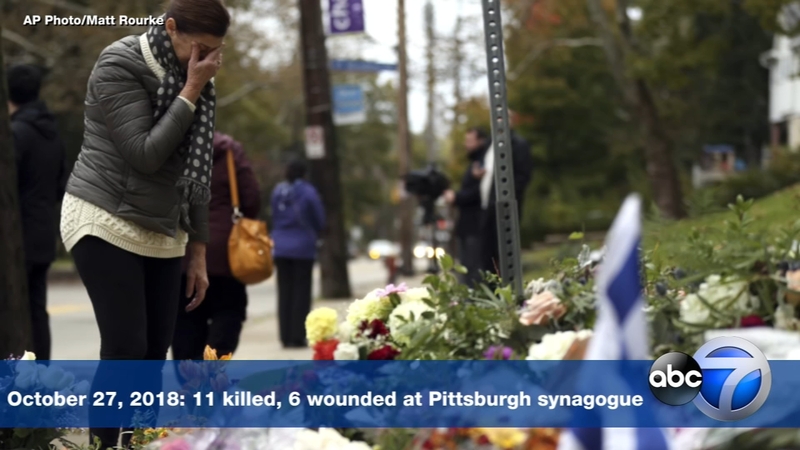 Less than a week after the tragic, fatal shooting in Pittsburgh at the Tree of Life Synagogue, the Jewish community is set to hold their first Shabbat. There have been over a dozen shootings at US houses of worship since 2012, according to the Associated Press. Beth Meyer Synagogue in Raleigh will have 2 services Friday evening; one geared toward family and the other for the "older crowd," Rabbi Eric Solomon told ABC11. Around the world, the Jewish community and supporters have pledged to #ShowUpForShabbat. The movement is meant to serve as a show of solidarity that the Jewish faith and those that stand with them will not tolerate or accept hate or anti-semitism. "I'd be lying if I didn't say there are some jitters...about what happened and the fear in our society," Solomon told ABC11 ahead of Friday evening's services. Solomon understands his congregation and is carrying a message of perseverance. "To give into anti-semites, to give into terrorists, is to let your fear overtake you," Solomon explained. "So we're going to have a little fear and we're going to be courageous and move forward." Solomon told ABC11 that he has been in touch with local law enforcement and even the FBI. Among his members is Deborah Rosenzweig, mother to a 3-year-old girl and 7-year-old son. "I've had to have conversations with (my son) this week that I thought I had at least 6-10 years before I had to have them," Rosenzweig said. The mom fought back tears as she recalled a question her son brought to her earlier this week. "He asked me the other night is it OK if I don't want to tell people I'm Jewish anymore," said Rosenzweig as her eyes began to tear up. "I told him absolutely not." Rosenzweig expressed how her son is having difficulty grasping the weight of last weekend's fatal shooting and other anti-semitism messages the faith is dealing with. "I don't know how to explain that to him," she admitted. "I don't have the answer for why people carry out hate crimes. Solomon declined to cite the specific security measures the synagogue is taking in response to last week's shooting. However, some have confirmed preschoolers on campus haven't been allowed outside this week. ABC11 also noticed a Raleigh Police cruiser circle the parking lot during the day Friday. Following the shooting, President Donald Trump told reporters, "If (Tree of Life Synagogue) had protection inside, the result would have been far better." "I think we're not going to blame the victim here," said Rabbi Lucy Dinner of nearby Temple Beth Or. Her congregation was at the center of threats received this past September. "We have to blame the perpetrator of hate." "We are not going to fold in the face of fear," Solomon said.